Jolly jumper rentals are types of baby equipment that allow infants to have fun while exercising. These baby jumpers help young children prepare to walk and let them stay in control of their activity making it an enjoyable experience for children and parents alike. There are several different baby jumpers available and they can be very useful rentals. Jumperoo rental available in Panama City Beach, Florida. You child will be entertained with their baby bouncer rental from PCB Family Rentals. Why pack it when you can rent one and have it delivered at your vacation destination. 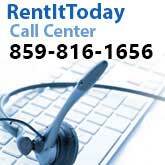 Call for rates today!